From the famous scene featuring Bishop and Hudson’s hand. Cast from an original. Available in black resin, flexible black resin or cold cast (aluminium infused, can be polished to a shine). The one pictured below is the ‘cold cast’ version, which has then been painted and weathered. 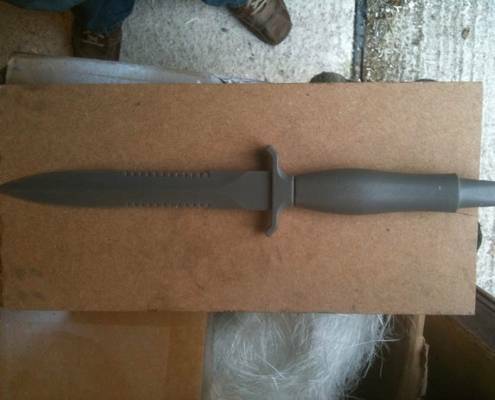 The flexible resin Gerber, is as the name would suggest, flexible… A bit more ‘public’ friendly because the blade can bend, and also less likely to get snapped at busy Cons. Also available are hand-stitched leather sheathes. 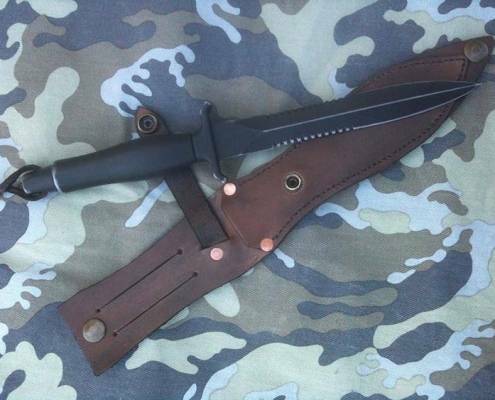 OPTION D – Sheath – £40 (does not include Gerber).